From the USA’s Wall Street Journal November 16, 2018 re Medical Insurance: The Brits spend about $4200 per person to cover everyone adequately. Nobody in Britain worries about becoming impoverished if they become ill. The U.S spends about $3.7 trillion per year or about $11, 400 per person. That covers a few very well, some adequately and many very poorly. For all America’s spending, the Brits have the higher life expectancy. Hey, you’re in America now! You KNOW you need medical insurance. Medical insurance agent Scott Rose at Mainstreet Solutions, has various plans specifically for newly arrived Brits in Florida, at lower rates than Americans here can get. This is the ONLY international Health Plan that is currently STATE APPROVED and a Lloyd’s backed plan too—-the world’s best! Many Florida and USA Brits and FABB members are on this and I have had my own medical insurance through Scott since 1993. ♦ ♦ FOR RESIDENT BRITS : ALL TYPES OF MEDICAL INSURANCE AVAILABLE IN FLORIDA SEE BELOW. Companies offering medical insurance change frequently in Florida, as do state regulations governing policies available, so best to ask Scott what is currently available for YOU. NOTE: Other states do NOT offer the same coverage, so get the Florida-specific answers from Scott. ♦ ♦ ALSO AVAILABLE: TEMPORARY MEDICAL INSURANCE: For British visitors and your visiting UK relatives [maybe your British parents]. Brits coming here on holiday get peace of mind knowing you will be covered while in Florida. Ask Scott Rose how you sign up and cost involved. ♦ ♦ ALSO A plan available for seniors age 63-73 and LongTerm Care Insurance for people over 60. ♦ ♦ NEWLY SETTLED IMMIGRANTS from UK. We can also cover newly arrived immigrants from the UK , but they must take a Lloyd’s travel plan for 6 months before we can switch them over. This takes one to two months to get it processed. It is a PPO with affordable rates. We have processed a few Brits already. One is over 80 years old. It is sponsored by the US Federal government. ♦ ♦ FOR UK BRITS ABOUT TO EMIGRATE TO FLORIDA: Especially low rates from Lloyds for UK Brits just before you move over to Florida. Also lower rates [than longtime residents] if you have emigrated to Florida less than 6 months ago. ♦ ♦ FOR USA BRITS WITH DISABILITIES without insurance or government benefits: Contact Scott for help. ♦ ♦ FOR OLDER RESIDENT BRITS aged 63-73—NEW Special coverage for older Florida residents age 63-73 who don’t qualify for Medicare—ask Scott. 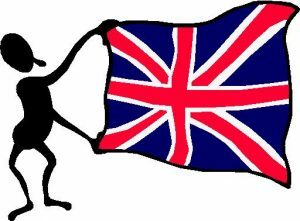 ♦ ♦ FOR RESIDENT BRITS in Florida aged 65 or older on a Green Card or UK-USA citizen . There is a plan for you–ask Scott. ♦ ♦ ALSO: FOR ALL BRITS resident in Florida for one year or more: The HSA 100, the Health Savings Programme written by the most popular A+ rated health insurer in the USA, established and licensed many years in Florida. You get 100% coverage after deductible. The deductible applies to the entire family, so you save money there. It’s 100% IRS tax deduction on annual premiums paid, to a maximum of $5400 for families and $2750 for individuals. With this HSA, 5% tax-free interest is paid on any monies that accrue in your HSA, if you don’t meet the annual deductible. This account is to be used for medical expenses. Age: anybody between 18 and 65 may apply. Brits must have been resident in Florida for at least one year. [You may be on work visa, Green Card or US citizen]. RE OBAMACARE…Affordable Care is the official term. GREAT NEWS!!! Anyone that has been declined or rated up for health insurance, or have not been able to afford health insurance in the past; and anyone that is over age 65 and does not qualify for Medicare are candidates to purchase at lower costs than previously!!!! Enrolling correctly in “Obamacare” is fairly tricky, so we suggest Brits seek professional help from agent Scott Rose to sort out the issues and answer your questions. ♦♦♦♦ FOR ANY OF THE ABOVE: Contact FABB’s medical insurance agent Scott Rose at Mainstreet Solutions in Boca Raton. He will explain the benefits, features and the cost of premiums based on your age group. MAINSTREET SOLUTIONS INSURANCE Tel. (561) 392-4485 office ADDRESS: Mainstreet Solutions, 333 Camino Gardens Blvd. Suite 204, Boca Raton, FL 33432. Scott’s direct email is: mainstreetins@msn.com On subject line put: TO SCOTT: Medical query from FABB. TESTIMONIAL: ” We are a British couple in Florida age 73 and 74, was obtaining adequate health insurance. You kindly gave us the name of Scott Rose and I must say he has come up trumps and we paid our first premium last week and now have full cover with Blue Cross Blue Shield under the Affordable Health Care Act. We are both very relieved and again thank you for putting us in touch with Scott.” Keith B. and wife. Says Scott: There are now many Florida Brit expats retired on B-2 visas, etc that are now happy campers due to the affordable health act. But….enrolling correctly in “Obamacare” is currently tricky business, so I suggest Brits seek professional help from agent Scott Rose to sort out the issues. CAUTION: FLORIDA IS KNOWN FOR BOGUS HEALTHCARE PROVIDERS. Beware of ads and commercials promising too-good-to-be-true lowcost coverage. This is because Florida is such an affluent state, with a large elder population, promising rich pickings for con men. That is why we ALWAYS recommend newcomer Brits especially go through our agent Scott Rose, who only works with reputable healthcare providers. The State has an agency which regulates the health coverage industry, so if you do decide to buy medical insurance you can verify that the company is legit by phoning Florida’s Office of Insurance Regulation. Their consumer services hotline tollfree in the USA 1-877-693-5236. Official website www.floir.com The FLOIR does NOT sell or advise on medical insurance—it only verifies that a company is licensed to operate in Florida. £ £ TIP: WANT TO SAVE WHEN TRANSFERRING over UK CURRENCY? DON’T USE YOUR BANK! Use Moneycorp. [ I use Moneycorp myself–FABB President.] The pound is shaky. That affects all expats in Florida who still have UK dealings. To transfer your precious funds, we highly recommend you use the services of Moneycorp. At lower rates than any bank! This will save you fees and grief, as we Londoners say! What your own bank won’t do is save considerable exchange fees, like Moneycorp. NOW is an advantageous time for you to transfer any funds you have. THE BEST WAY: Moneycorp, the UK company with an office in Florida and droves of satisfied Florida clients. It is the only UK currency exchange company licenced to deal in 50 states. Many expat Brits here have used this currency service for years and report huge savings and satisfaction. TO FIND OUT MORE: Phone Moneycorp’s Kelly Cutchin on  207-6616 at their USA HQ in Orlando to ask all your questions. Or email your query to Kelly Cutchin kelly.cutchin@moneycorp.com for details. Moneycorp’s HQ is in England. Posted by the Florida Association of British Business [FABB]. Moneycorp have been trusted members since 2005.